Well, there's a title I didn't expect to be writing! Life has been a little heavy lately, and I decided that going to see Magic Mike XXL was the perfect remedy. I went with a group of six rowdy ladies, which is really the only way to see this show. It was spectacular. I have a lot to say about this movie, starting with: sewing! There's a fabulous montage (God, I love a montage) where the ragtag bunch of "male entertainers" is getting ready for their big show, and it involves lots of DIY. There's a great little shot of a handheld sewing machine stitching along on a costume. These guys really do it all! Of course, handheld sewing machines are notoriously terrible and there's no way an entire costume could be sewn on one in a pinch, but I'll suspend my disbelief. If you have any desire at all to see this movie: run, don't walk! to your nearest theater. Not only is it a big, campy male stripper road trip odyssey filled with lots of eye candy, it's an unexpectedly feminist film. There's tons that could be said about the politics of female sexual desire, but what's more striking is the politics of female happiness. These guys make it their mission to get their customers hot and bothered, for sure. But their primary goal in two instances is to get them to smile. There's a Joe Manganiello convenience store strip scene that will go down in history, the point of which is to get the dour cashier to grin. And he does! The crowd goes wild! Which leads me to: male strippers are hilarious. They just are. They don't even have to try. I laughed my head off for two hours, as did my friends. Personally, I think that's the real secret to why women love this movie. So, have you seen it? Will you? Please share your thoughts! The crafty feminist blogosphere needs to weigh in on this one. Oh I'm def going to see this one! I loved the first one. And wow that picture of Joe Maganiello sitting behind a sewing machine needs to be blown up and on my sewing room wall! I know, it's such as great picture! He's so dreamy. That's a great point about the extras--I loved all the shapes and sizes of the women! I already pre-ordered the DVD because I need to see the gas station scene again as soon as possible. Maybe that's how stripper tear away clothes are created! Good point--the handheld machine only does a chain stitch so you could just rip the seams away! Stripper secrets! 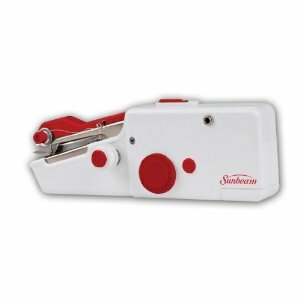 I had a pretty good chuckle about the handheld sewing machine and was the only one in the theater who laughed at that part. I liked this one as much as the first one, too. Definitely agree with all your notes on the film - I loved one their goals was simply to make ladies smile. I saw it with a friend in the cinema (a bit sad at the loss of Matthew McConaughey) and OH MY GOD it delivered. Like you said, it was really good fun I also really appreciated the pretty acrobatic dancing. A lot of it is more dancing than stripping actually. Albeit with admittedly pretty glorious abs on display. I agree that in some ways it's feminist - I liked the addition of Jada Pinkett Smith and Elizabterh Banks. And Andie Macdowell was AMAZING. So yeah, go see it. Oh man I want to see this so bad! I loved the first. I'm going to see it this week! Definitely! I loved it. The crowd was all groups of women having fun. Laugh, hoot and cheer. Did I say that I loved it. Based on your recommendation, and Jennifer Weiner's, my friend and I saw it today. You are right, we laughed the whole time. Ha ha for the handheld sewing machine!! I also loved the part where he threw the glitter on the poster board, and Ken, who was into meditation and reiki!! The scene in the convenience store was hilarious. I never know this film existed, but I'll definitely look out for it now and suggest a girlie night out with my best ladies to see it - on your recommendation and purely for the feminist angle, obviously. I think the question "what is feminism?" needs to be asked. If it is about righting past generations' wrongs, then one cannot rejoice in a movie that objectifies people and makes them merely a means for one's own gratification and self-focus. If, however, the answer is about taking what we want and satisfying our desires, regardless of its effect on others, we contribute to a society that uses and discards people like we do the trash. If we judge others on the appearance of their body parts, we are no better than the stereotypical construction worker who catcalls to any attractive woman nearby (my apologies to construction workers who value a woman's worth as a human). If we allow others to do these things, we are no better than they are. If we want equality, we need to be better than merely female chauvanists.